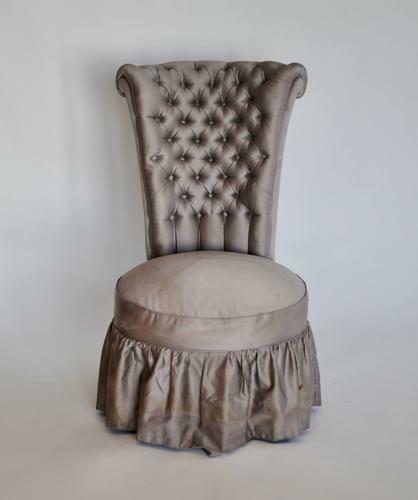 Italian high backed buttoned bedroom chair on wooden legs. Dating from circa 1950. Needs upholstery and the legs re-polishing if a skirt is not used. The seat measures 50 cm across and 40 cm deep.